Congratulations on taking the first step on your journey towards quitting. When you stop smoking, your body misses the nicotine that you have been absorbing. This may lead to unpleasant feelings and a strong desire to smoke (a craving), all of which indicates that you were dependent on nicotine. NICORETTE® is a Nicotine Replacement Therapy (NRT) that provides a smaller dose of nicotine than you would normally get from a cigarette, but enough to beat the cravings you get when you stop smoking. Available in NICORETTE® Gum and NICORETTE® Patches, NICORETTE® can help you take control of your cravings along with behavioural support, helping you to beat cravings and other withdrawal symptoms, so you can cope better with your day-to-day routine while you quit. 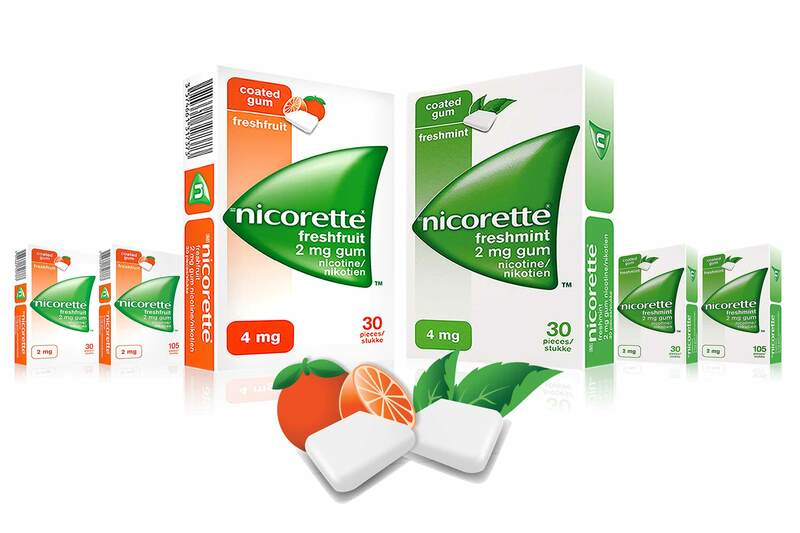 NICORETTE® FRESHFRUIT 2 mg: A40/34/0565. Each piece contains 10 mg nicotine-resin complex 20%, equivalent to 2 mg nicotine. NICORETTE® FRESHFRUIT 4 mg: A40/34/0566. Each piece contains 20 mg nicotine-resin complex 20%, equivalent to 4 mg nicotine. NICORETTE® FRESHMINT 2 mg: A40/34/0520. Each piece contains 10 mg nicotine-resin complex 20%, equivalent to 2 mg nicotine. NICORETTE® FRESHMINT 4 mg: A40/34/0523. Each piece contains 20 mg nicotine-resin complex 20%, equivalent to 4 mg nicotine. NICORETTE® Transdermal Patch 10 mg – 45/32.16/0952. Each patch contains nicotine equivalent to 1,75 mg per 1,0 cm2. 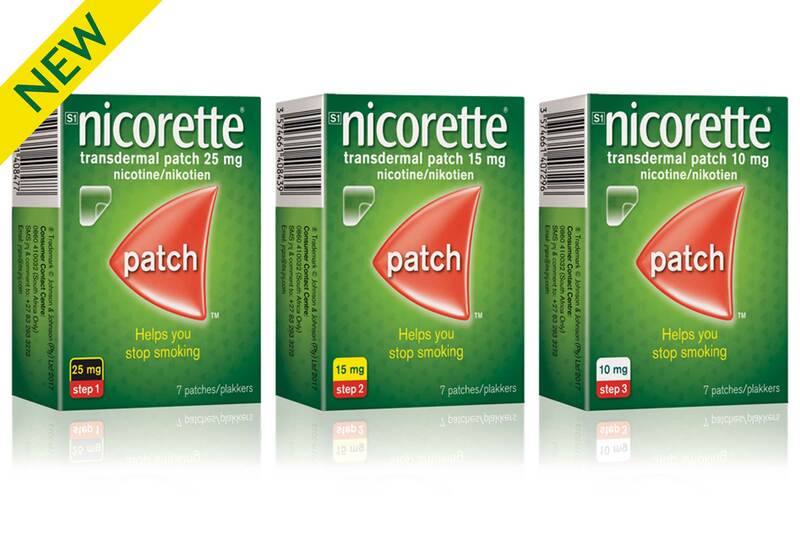 Content of nicotine per patch 15,75 mg.
NICORETTE® Transdermal Patch 15 mg – 45/32.16/0953. Each patch contains nicotine equivalent to 1,75 mg per 1,0 cm2. Content of nicotine per patch 23,62 mg.
NICORETTE® Transdermal Patch 25 mg – 45/32.16/0954. Each patch contains nicotine equivalent to 1,75 mg per 1,0 cm2. Content of nicotine per patch 39,37 mg.
For full prescribing information, refer to package insert approved by the Regulatory Authority. ®Trademark © Johnson & Johnson (Pty) Ltd 2018.